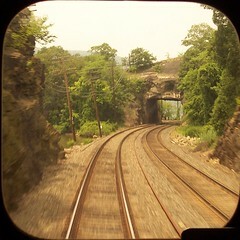 Between Manitou and Peekskill we pass under the Bear Mountain Bridge and through many small tunnels. 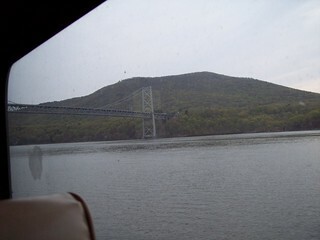 Closer to Peekskill we see the remains of an old barge along the shore of the Hudson River. 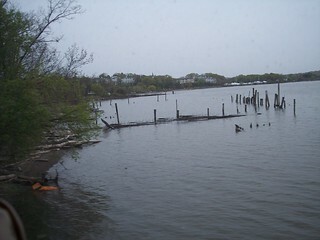 At one time a faint New York Central logo was visible on the rotting barge.